Canine seborrhea is a common skin disease in dogs. The skin may be dry with lots of dandruff-like flakey dead skin. Or, it can be oily and greasy. 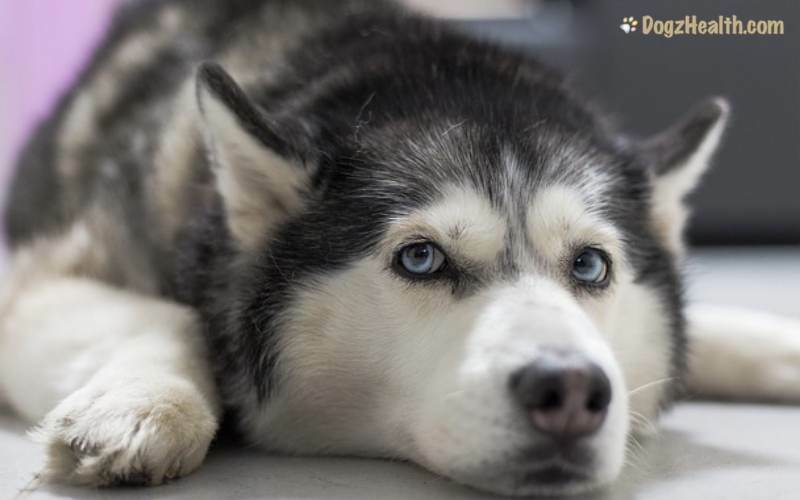 Read on and learn more about the symptoms, possible causes, and treatment of seborrhea and dry skin in dogs. Seborrhea is a skin condition in which the epidermis, the sebaceous glands, and part of the hair follicles are hyper-productive. The result? An excessive amount of dead skin is being shed from the epidermis (outer layer of skin) and hair follicles. Dogs with “dry seborrhea” (seborrhea sicca) have skin flakes that are dry and dandruff-like. On the other hand, dogs with “oily seborrhea” (seborrhea oleosa) have skin flakes that are oily and greasy. Oily seborrhea is due to an overproduction of sebum by the sebaceous glands. Many dogs have a combination of both types of seborrhea. Seborrhea in dogs can be primary or secondary, which are two totally different skin diseases. Dogs with primary seborrhea may have dry flaky skin, or oily greasy scaly skin, or a combination of both. They are also smelly with a rancid doggy odor. 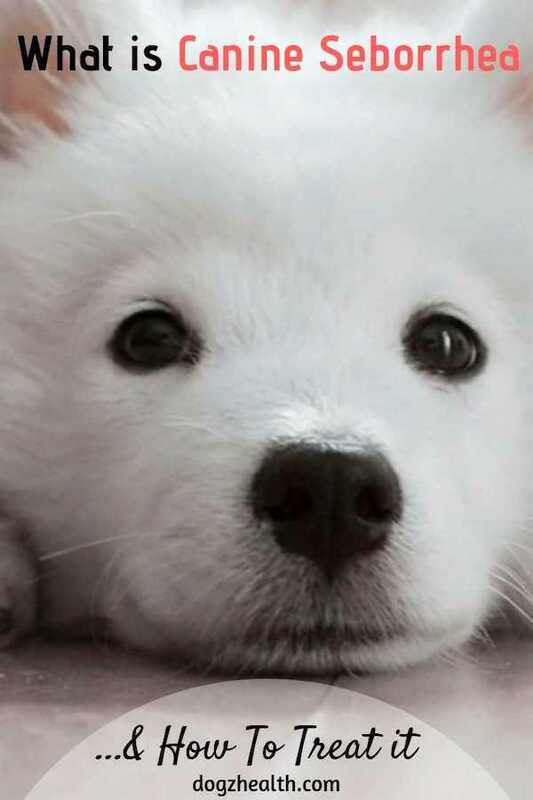 Usually, primary canine seborrhea begins at a young age (from around 18 to 24 months). It then progresses throughout the dog’s life. Primary seborrhea commonly affects the elbow, hocks, neck and chest. It also may affect the hair along the borders of the ears. In addition, chronic waxy ear infections occur rather commonly in dogs with seborrhea (especially oily seborrhea). Secondary seborrhea is the result of another underlying disease. Dogs with secondary seborrhea usually also have pyoderma, yeast infections, and hair loss. If you dog has canine seborrhea, get a thorough medical check-up to see if there is an underlying disease that is causing the skin problem. Understandably, secondary seborrhea usually disappears when we deal with the underlying cause. As for primary seborrhea, there is unfortunately no cure. It requires life-long control and management. You vet will tell you that it is usually easier to control dry seborrhea than oily seborrhea. Bathing your dog with an all-natural, moisturizing hypoallergenic shampoo can greatly help a dog with dry flaky skin. A good mild natural shampoo is Only Natural Pet Pure and Clean Itch Relief Shampoo . For very dry flaky skin, veterinarians usually recommend shampoos that contain sulfur and salicylic acid which can remove the scales. Be sure to groom your dog regularly to remove the dandruff from the skin. If your dog has really dry skin, you may also consider using a humidifier especially during cold winter days to add moisture to the air. On the other hand, if your dog has oily seborrhea, your vet will usually prescribe special medicated shampoos. These shampoos contain coal tar or benzoyl peroxide, and can remove greasy scales from the hair. They can also help reduce scale production. Depending on how serious your dog’s skin condition is, you may need to wash your dog 2 or 3 times per week, especially initially. But do confirm with your vet first, because over-bathing can sometimes worsen seborrhea. If your dog has bacterial or other skin infections as a result of seborrhea, your vet may prescribe antibiotics. Dogs with skin issues such as seborrhea can greatly benefit from Omega-3 fatty acids, such as salmon oil or krill oil. The Omega-3 fatty acids are anti-inflammatory and helpful for skin problems. When giving Omega-3 fatty acids to your dog, be sure to also give vitamin E. If not, your dog may develop vitamin E deficiency. Other vitamins for skin health include vitamins A and D. They are all antioxidants that benefit the skin. Here is a good supplement of Omega-3 fatty acids plus vitamins A, D and E: Virbac Allerderm Efa-Caps . Dogs with chronic skin problems such as seborrhea usually have an immune system that is not up to par. One way to make your dog’s skin issue more manageable is to strengthen the dog’s immune system. There are simple ways to do that. First, feed your dog a natural, balanced, high-quality diet. Many dog owners claim that after switching over to a raw diet, their dogs’ skin conditions have improved. Be sure to discuss this diet option with your vet. Also, use supplements to support your dog’s immune system. Digestive enzymes and probiotics are two important supplements that can enhance your dog’s health. Sure, dogs can produce enzymes and can also get enzymes from foods, but enzymes are unstable and can easily be destroyed by heat while cooking. 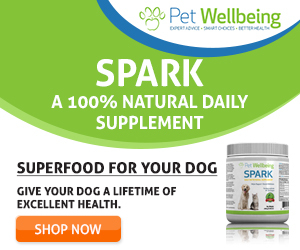 It makes sense to add a digestive enzyme supplement to your dog’s diet. Probiotics help maintain a healthy amount of “good friendly bacteria” in your dog’s digestive system. They play a very important role in your dog’s health as they keep harmful bacteria in check. Very often, when your dog has skin problems such as seborrhea that has developed into secondary bacterial infections, your vet will prescribe antibiotics. As you know, antibiotics kill both the good bacteria and the bad ones! So, supplementing your dog with probiotics can replenish the good bacteria killed off by antibiotics. This supplement contains not only digestive enzymes and probiotics, but also immune boosting herbs, green foods and super foods! Check it out.